In 1997, my life divided into “before” and “after”. Maybe if you look from outside you would not notice anything significant about that – I spent 3 weeks in regional children hematology department. How could those 3 weeks change the life of a thirteen year old? But these 3 weeks, these endless 21 days turned my life upside down, from that moment on it was never the same as it used to be. It was the cruel lesson of destiny… I don’t know why God chose to show me, 13 year old girl, that nightmare. Maybe it was done so many years later I could tell healthy people that hell exists. It’s here, on the earth, in the usual children’s hospital, in hematology department. Maybe I got through that hell so other could know what really stands behind boring statistics of the numbers of cancer diseases among children. In these stories I tried to deliver the moments that I remember the best. Moments that impressed me and moments that shocked. Something I always kept silence about, not having any strength to relive, even in my mind, it again. I hope that from these stories a reader can form a vivid view of the world in which hundreds of children live in Ukraine. The world which is full of fear, sorrow, and also hope and faith. When I first showed up at the door of children hematology department, I couldn’t even imagine what that was. I could barely combine two concepts – children and cancer. It seemed that someone made a mistake explaining that children with blood cancer live here. It just couldn’t be possible. At first the department looked the usual one, and children looked like other children everywhere else. But two days later I saw the difference. Bald kids said the word “death” so normally, like we would say “breakfast”. It seemed hat death is somewhere in the air. You can feel it on your skin. Despair and boundless optimism coexisted here in an incredible manner. I heard some kids saying “I’d rather die, than do chemo again”, others cheerfully touching their bald heads were making jokes that they would be saving a lot on shampoo. I don’t know why but it took a week to understand the atmosphere of the department, I began to understand what was clear to the regular patients and what didn’t mean a thing to kids with anemia. I couldn’t understand everything with my mind, but my heart knew, that this was a terrible place, I had to get out… my soul wanted to come back to the normal world, where everything is easy and clear. Where there was no depressing anxiety. This was 21st day of my stay in hematology department. I saw doctors rush in the room across the hall. They were rushing which wasn’t usual for the department. I saw a nurse bringing an IV dropper into the room, another nurse was yelling something on the phone. A young woman left the room, she was the boy’s sister, who stayed with him for the period when their mother took his analysis to Kiev. The woman was crying. Not like people usually cry from sorrow or offence. She was just sobbing, tears were running down her cheeks. Looked like she didn’t even notice this, she was wandering around the hospital halls. Someone made her sit down on the nurse chair, someone brought her water. The woman wasn’t reacting, and I think didn’t even notice. In half an hour I heard a chair moving along the hall. I saw them rolling the boy in it. He wasn’t carrying… I think there wasn’t even fear in his eyes. He just couldn’t understand what was going on. ER refused to take him seeing that he’s too sick. Because they had to report every death… For ER this boy dying from bleeding was just a statistical thing. An undesirable thing. They just didn’t take him there saying that he would be better off dying in his room… only our health system could generate these traditions… Painful death from bleeding in the regular department where they couldn’t even isolate him from other kids. And this was better than decrease of statistical figures. I couldn’t hear the boy’s voice. I heard only doctors’ orders to bring this or that. The boy’s sister was still sitting at the nurse post. Her face looked as if made of stone, tears were coming down. She was looking right at front of her, not noticing anyone. She wasn’t answering when someone was offering her water or drops. She was just sitting there looking through the walls. Sometimes her lips were moving, but no one could hear what she was saying. Maybe she was praying and may she was asking that question the one that later she will be screaming out: "Why he???". I will never forget how all doctors and nurses left the boy’s room accurately moving the sheet aside. All together… a nurse was carrying an IV bag which was half full. I looked at it and everything became cold inside of me… I knew that the boy had died. I just knew this… I looked at the white sheet with his print on it… I was scared that the had dry out yet, and the boy doesn’t exist anymore… he doesn’t’ and he never will… I turned to the wall and cried… I cried for a boy I met 2 days ago for the first time… I didn’t even know his name… I was lying like this when I heard a scream in the hall. That was the boy’s sister. I heard others trying to calm her down, but she was "Why???". So much pain and despair in that scream. Some children who were diagnosed “c.d.” sat down separately. These were 10 children of various ages, they sat down close to each other, some put their hands on their neighbors’ shoulders. They were sharing their sorrows… they were trying to come down after a death storm whirled over them… today wasn’t their turn… and tomorrow? Yet this morning many of them believed that they would recover, they would lead normal life again. Now no one though that… even Lesha – a five-year old. He was crying… Maybe because of a common mood. Maybe because he felt like other children that death showed its power and reminded everyone that it was the master. When they took us back, the white sheet with a bloody print was still on the door. Hospital attendants were cleaning blood off the walls, floor and beds. We were supposed to see this, that’s why we saw a bloody print of a child, who didn’t exist anymore… This gave us shivers. But this wasn’t the most scary thing. The most scary thing was that adults were acting as if nothing had happened. As if it was a usual day, and that boy is still there… and he’s fine. This total pretence made it even more unbearable. It seemed that only kids mourn for the boy, and adults just didn’t care. Doctors put on smiles, parents got busy with usual stuff. It seemed that adults live in one world, and we, kids – in another one. And those worlds were really far from each other at that moment. And it was really scary that you will die tomorrow and no one but a dozen of kids will care about this. I was sitting and looking at the print, not taking my eyes off even for a minute. I was crying… everyone saw that, but no adult came up to me and asked what happened… only a bald 7-year old boy approached my, took my face and turned me away from the print. I looked at him and silently said "Get used" and left. Then these words sounded blasphemous, you can’t get used to this!!! You can’t live with this!!! - Look here! – Natasha took a thick phonebook out of the bedside table. It was pretty torn. – I was writing down names and addresses of my friends who I met in hematology departments of various hospitals. This book contains addresses from the first day of my disease. - Yes, these are the people who died. – Natasha took the phonebook and glanced it through. I noticed that most of the records were crossed out. - How can you live with this? – it was so painful for me to see this silent illustration of excessive death-rate of children with cancer disease. - I live thanks to this! – Natasha tapped her finger on one record… the only address that wasn’t crossed on first 6 pages. 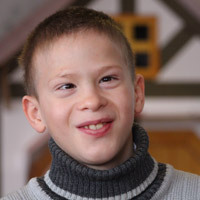 – This boy lived through two relapses of leucosis, but he’s fine for three years now, he goes to school, he’s happy with his life. I live because I believe that I will be that lucky as this boy or some other ones – she quickly turned over several pages and showed some addresses that were not crossed over either. - But these are individuals, the other ones die!!! – before this talk I couldn’t even imagine the extent of the tragedy. 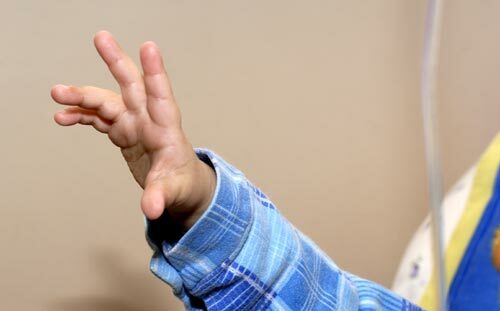 A bald 5 year old boy with light yellow skin and eye whites ran into the hospital room. - Mom, will we be doing IV today? - No, Anton – said a woman looking down. - It’s great! Does it mean I can go play with the guys? - Where is Anton? We’ll be doing IV now – a nurse entered a room – where is the IV kit? - Luda, I don’t have it… I don’t have any money to buy the kit… Look… - a woman took a purse from under the pillow and opened it. There was a picture of Anton where he’s tanned and cheerful was sitting on swings. The picture was made just six months ago, a month before when his nose bled for the first time… Other than that the purse was empty. Not a single bill, no coins, Nadya spent it all for a syringe which was lying on a windowsill. - I’m sorry. If you don’t have a kit, then we won’t be doing IV – a nurse left. Nadya was tousling an empty purse in her hands. Anton was her only son, she never his father after she told him of her pregnancy. When trouble came and a child was diagnosed with acute leucosis, neuroleukemia, there was no one around to help. All money that she saved were used for the first chemo. They never bought food since then.. they were eating hospital porridge which even looked sickening. From then they to choose: food or medications. And then a day came when there wasn’t any money even for medicine… not even for medications, but for IV kits as well. Nadya turned the purse upside down and a coin jingling fell on the floor. A nickel… Nadya was holding a coin and thinking: "My son’s life is worth thousands of hryvnas, but I can only pay a nickel …"
- Mom, what’s there you have? – Anton was peeping through a slightly open door. - Money – Nadya said ironically smiling. How could you call this coin money? - Could you give that? – Anton reached out. Once he had a coin box which he used for collecting coins saving for rollerblades. The coin box was the first victim of his disease; instead of rollerblades they bought syringes and antibiotics. - Mom, what can I buy for a nickel? - A box of matches – answered Nadya smiling. And when Anton left a room she continued – so I can set this building on fire and solve the problem one and for all. What’s the use from this hospital if I and dozens of other mothers have only this miserable nickel…? - Vova is not feeling well, he can’t come. - Ira, I don’t think you should see this. You don’t understand. He really feels bad. - No, I don’t think it’s possible to disturb him now… - Tanya’s eyes were full of tears. - Hi, Vova! How are you – I touched his hand but he was still looking up. - Ira, two weeks he was watching TV with everyone else, then he came back into the room and complained for a headache, lied down. 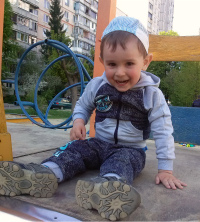 I went to bring him water to give him medicine, and when I came back he was looking somewhere through me and didn’t respond – Tanya quickly wiped off tears – Vova, look, Ira came to see you. Look at her! A week passed from then. Vova did not regain consciousness, I was the last one he somehow reacted to… He was dying… I was dying too… Not being able to sit down myself I listening very hard to what was going on in Vova’s room. I still believed he could beat the death. It just couldn’t be otherwise! - Vova, don’t go there, they are all dead, and you are still alive! - Ira, I was told to come here, that this is my place. Look – he gave a piece of paper – It says here that this is my classroom. - Then wait, I’ll go with you! - Show me your pass – I gave him a piece of paper. - No, this is not a place for you! You should go further! – Vova gave me back my paper. - But why? I want to go with you, I don’t know what’s there, I’d better stay here with you – I don’t know why but I started crying. When I opened my eyes, I saw a man bending towards me, he looked very anxious. I waned to ask what happened, but I couldn’t talk, there a mask pressed on to my face through which air was pumped into my lungs. A doctor squeezing a special bag administering artificial ventilation. I shook my head, but the doctor smiled and: "Wait a little bit. I’m helping you breathe, and your muscles are resting now. Then it will be easier for you to breathe". I was laying and looking around. I read “ER” on man’s badge. My mom was looking through an open door, and I saw tears running down her face. She was taking her eyes off me every time I looked at her. Something happened… I physically felt it. Emergency doctors left, and I heard them saying in the hall "she almost died…". My mom came back into the room, she was wiping off the tears. Looking at her I somehow clearly remembered how Tanya yelled in the hall "Guys, help!!!". Everything went cold inside, I looked at my mom and asked "How’s Vova?". In response my mom just shook her head and began to cry. She didn’t have to say anything else, I knew everything now. I couldn’t cry… I didn’t have any strength for that. I asked: "When?". Mom looked guilty when she said: "You both felt bad almost at the same time. Vova – about 30 seconds earlier. Doctors called ER for him, but when they came, you were not breathing. Doctors decided to save you…" – my mom couldn’t say anything else, she was sobbing. I clearly recalled my dream and that room, the one I wanted to follow Vova to, but he didn’t let me… "it’s not up to us to decide where to go"… these words clearly reflected what had happened. It wasn’t up to me or Vova to decide who would be living, ER staff made that choice. I survived… and Vova did not... I felt an unbearable pain inside, I began to cry and yelled "Why me???". I was ashamed that I survived, and Vova was “written off”, they didn’t even give him any chance. We had only one chance for both of us, and I got it. Why?! Why did we have to pay with Vova’s life to save mine??? Sveta’s scream scattered evening silence "Guys, Dima’s not feeling well". In 20 seconds, moms of all children ran into the hall. They were running into Dima’s room to help with whatever they can. They left their sick children to help someone else’s. This was the local law – all for one! Children were divided into own and strangers. Children were common, and their problems were common too, that’s why had to be solved together. Sick children, many of them were doing chemo that night, left alone. The ones who were “in charge” were not the older kids but those who could get up, jump out to the hall and yell for help. I was left at the care of Anton, a 5-year old, because I couldn’t even turn by myself in bed. Anton took playing cards out of the nightstand, moved the IV pole (which held two IV systems – mine and his) and sat down next to me to his favorite game – drunk man. It was 10 pm and we both knew that we wouldn’t go to bed earlier than midnight. Our moms were busy saving Dima, that means there was no one to look after our IV droppers. But we were not offended by this. We knew that any minute if needed everyone would do the same to save me or Anton. Dima’s nose was bleeding, heavily. Blood was filling up everything, it was hard for him to breathe. He needed oxygen. But it was not connected to out department. There were just 3 oxygen bags. They could be filled in ER. But there is a 5-minute walk to ER center, if you walk really fast, almost run. One bag was enough for 10 minutes maximum, but more often – for 7-8 minutes. That’s why two youngest and healthy moms made a line: they were continuously running to ER center, filling the bags, running back, giving the full bag, grabbing the empty one and running again to ER center. It was really fast. 4 floors of steps, a lobby, 1 more floor and a hall. Then back… Of course, you could take the elevator, but it’s so slow, you have to move fast, faster, more faster… you do this dozens of times… Nadya, Anton’s mom, running past our room with an empty bag, drops in just for a second. She glances at our droppers, trying to figure out can she be back by the time bottles get empty. "Don’t worry, mom, we are fine. When the bottle gets empty I’ll go to get Natasha " – Anton said reading her thoughts. Nadya looks at the watch and understand that she’s behind the schedule. If she doesn’t make up for this minute, Dima could stay without oxygen. She’s running towards the stairs… She has only one thought – to be there on time, not to let down, to do everything to save another child. Three other moms are in Dima’s room, they are warming up a bottle of plasma in their hands. It has to be warmed up slowly, with the body temperature. The bottle is frozen to the ice temperature. Each of them holds a bottle in her hands for 5 minutes and passes it to another one. Then she tries to warm up her hands up to the time when she gets the bottle again. Another mom is eating water with the boiler (because there’s no hot water in the hospital), wets cloths and gives them to moms whose hands are really cold. SO much depends on each of them. And they are just people… women, exhausted from sleepless nights, they forget to take a meal and it’s been long time since they ate meat. But now they are not even thinking about this… they know only one thing – they have to save Dima. No, they don’t have to… it’s not done because of the call of duty or because they want to get the same attention when they need help. They do it because it can’t be the other way. Dima is their common child, he can die. And they will do everything they can to prevent this. My dropper was almost empty, about 20 grams left. Anton sees it, gets up from chair, moves it towards the pole and climbs the chair. He can’t call anyone else, because we are “chained up”. There is not enough poles in the hospital, that’s why usually two kids do chemo together. And now Anton even lifting the pole can leave my bed only to the distance of my dropper. That’s why he overlaps the clamp on his system, takes off the bottle, and holding the bottle goes into the room to call my mom. He knows that he has to call someone from moms, you can’t rely on nurses. Not because they are bad, but because they are always busy. Any mom can walk into the room and change bottles. Anton is coming back with my mom. It’s her turn to warm up the plasma. Not wasting a second she gets down to business. "Hold this" – and now I’m holding an icy cold bottle of plasma. The faster it’s melting, the more chances Dima has. That’s why it can’t be left without warming up, that’s why while mom is changing bottles, I’m warming up the precious bottle of plasma. My mom changed the bottles and left. And we are together with Anton again. A funny couple – I’m 14, he’s 5. But age doesn’t matter here. Anton and I can understand each other without words. We have common enemies, common purposes and common fears. 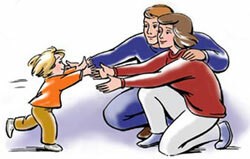 And also a common duty towards other children… Only 2 nights ago everyone was helping Anton, who down with a high fever. Dima’s mother, Sveta, at 1 am in a nightgown and a robe was running to a closest supermarket to get a bottle of vodka to rub Anton. And tomorrow Anton’s mother will run to get oxygen for me. It’s been long time since we were dividing each other depending on age, wealth and moms. This just doesn’t matter. The only thing that matters is that we are all living on the edge and everyone’s task is not to let another person down. Our moms came back to the room at 1 am. Nadya fell on the bed, she had to run 5 floors up and down dozens of times. My mom’s hands were white from cold. Anton’s and mine hands were also cold. 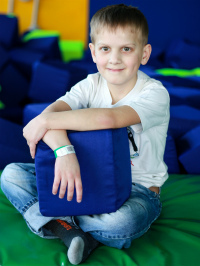 But Dima was alive… they were chances to believe that he would live till the morning. And all our inconveniences didn’t matter. We went to bed happy, because we knew that today we saved Dima. Tomorrow there will be a new fight. For someone else, maybe for me or Anton. But we knew that if needed something children in all rooms would be staying up late and warming up bottles with plasma. We didn’t have any doubts in it, because the main law here is all for one! A white sheet is attached to the room door. It’s really late at night, but the light is on. Woman’s silhouette can be seen through the sheet, she’s sitting at the bed. She’s sitting still, sometimes her head drops on the chest – she does not sleep for many nights, she is very tired. She falls asleep for a couple of seconds but wakes up right away with horror. "I shouldn’t sleep, I shouldn’t!" – she’s saying these words again and again. She’s sitting by her daughter’s bed. Her daughter is fatally sick. A girl is pale and exhausted. She can’t swallow for 2 weeks. Respiratory failure is building up with every hour. A child is dying from asphyxia. An doctors… decided that the tumor was inoperable. And all they could offer was a deadly portion of hypnotic medication “to the soul free”. A doctor called a simple way out to save Natasha and her daughter from suffering. Natasha refused. She didn’t believe that was it, she hoped her daughter would get better soon. And only that believe helped her sit by the bed for many days and nights. A girl was semi-conscious. Her consciousness was obscure because of the lack of oxygen; she either was falling asleep or groaning. She hardly talked, it required too much strength, and she just didn’t have it. A week ago doctors cancelled all supporting IV procedures. They decided that all those procedures were unnecessary. And now the girl was suffering not only from shortness of breath, but also from thirst. Sometimes she was whispering in her sleep "water, water". She saw water in her dreams, and she wanted not to survive but to slake her thirst. She couldn’t do it, that’s why she was just crying when she heard the sound of pouring water. This night the girl felt really bad. She was hardly breathing and sometimes stopped for 10-15 seconds. The mother didn’t her eyes off her hardly moving chest. And then the real hell began – the girl sighed painfully and… and began turning blue. The breath stopped… Her mother was looking at her blue face with horror. She knew what to do – she jumped off the chair and started to do an artificial ventilation. She didn’t ask anyone for help, she knew that it was useless – department chief doctor prohibited all active interference related to life support. In developed countries it’s called “passive euthanasia” and considered illegal, but in our country they carefully called it “to set the soul free”. Natasha was breathing air in again and again. Even now she believed that it’s worth trying. In 10 minute the girl took a couple of breaths. But in half an hour she wasn’t breathing again. And here goes “mouth-to-mouth” again, till she gets dizzy and nauseous. And there is only one thought – not to fall down, not to faint, because her daughter desperately needs this air, the one she can’t breathe in by herself. The fight lasted for several hours. And when the girl opened her eyes for the next time, they were showing such a great pain. "Mom, leave me alone, don’t breathe… let me die… I can’t live like this" – you could hardly hear the girl’s words, she was crying. The woman closed her face with hands and went to the other side of the room. She heard the girl sigh for the last time and became quiet. Natasha was sobbing, silently. She was biting her lips… till they were bleeding… not feeling any pain. She was sitting, her eyes were closed, and suddenly she stood up. She looked confident… she rushed to save her daughter. She was all blue, there was no pulse. The heart stopped. This was the end. But the mother knew she could change it. No emotions, like a robot: 15 chest compressions, 2 breaths. And hundreds of times like this. She wasn’t looking at the watch, wasn’t thinking what the damage to the brain would be after a cardiac arrest. She had only one thing in mind – she had to save her daughter. And making the next “breath” she put her hand on girl’s neck and felt the pulse. The heart was beating again. She was still doing CPR with such an enthusiasm as like she would win the battle with the disease. As if she cured her daughter, she would be healthy again. When the girl came to her senses, she felt the taste of blood in her mouth. Then she didn’t know that it wasn’t her blood, but her mother’s when she was biting her lips watching her daughter die. 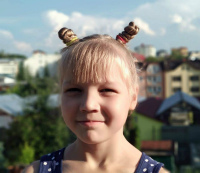 The girl knew only one thing – her mother brought her back to life. Here, to this world of endless asphyxia and thirst. Then she almost hated her mother. She believe in long and happy life. She didn’t believe this night taken off from death means something. "Again, why again!!!" – everyone in the hall heard Sveta screaming. My mom just took me to the hall to watch TV, but we didn’t make to the TV set, we heard the scream. I saw Sveta standing by her room and climbing the wall… literally… She was scratching her fingers to they bled, bloody stripes were left on the wall… But Sveta was still grasping the wall, trying to climb it. Where? Why? I didn’t know, she didn’t know. Dima was screaming from the room "Mom, please, don’t, mom…". Sometimes this scream was being interrupted by crying. And sometimes – by coughing. My mom left me in the hall and ran to Dima’s room. I heard her calming him down, and he was screaming "What’s with mom?". Several other moms ran up to Sveta, trying to tear her away from the wall. But she was breaking loose off their grips and coming back to the wall. Again and again she was grabbing the wall and screaming "I can’t, I can’t!!!". I heard someone called ER from the staffroom. But Sveta was still screaming and climbing the wall. The sight of this was chilling. I wanted to close my eyes not being able to see this, I wanted to shut my ears not being able to see her screams and Dima’s crying. I wanted to escape this hell. But I had to watch this. 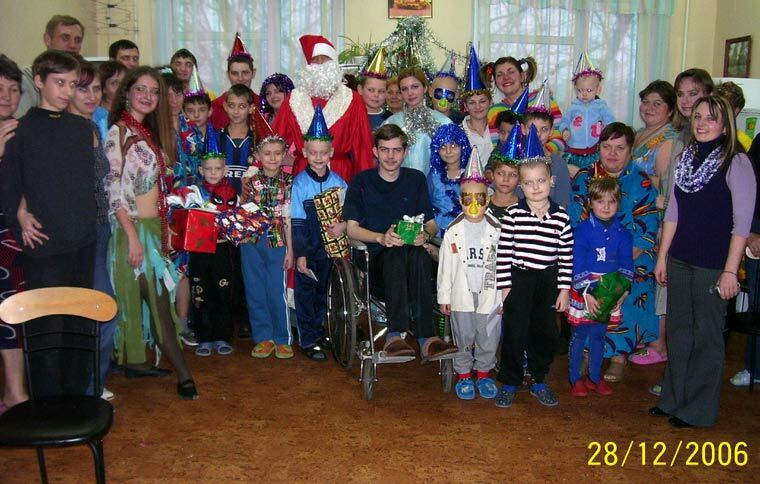 Some other kids had to watch it too… and there was no medical staff around… one nurse was running around Sveta with a glass of valerian drops. Some moms were trying to pull Sveta off the wall. They were crying too… because of their weakness, offence and fear. My mom rushed out of Dima’s room. Her hands were covered in blood. "Sveta, where are the drugs?" – she was pulling her about, trying to find where the drugs are that would save Dima. But it was useless then. 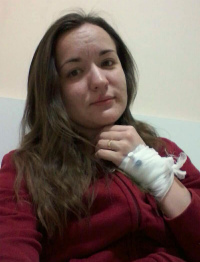 Sveta became hysteric because her son’s nose was bleeding again, and she only had 4 platelets. It means they won’t be able to stop bleeding for several days, this means they have to look for donors again. But where can you find them if he needs blood almost every week in huge volumes. Nose bleeding means nose tamponade under general anesthesia, after which Dima will be gaining consciousness long and sorely. And he will also stop breathing… She just didn’t have any strength to go through this again. It was beyond her strength!!! Sveta began napping, someone took her to my room. Someone stayed there to look after her so she doesn’t do anything stupid when she wakes up. The others rushed to save Dima. My mom ran past me to the room and went back with a purse. Dima needed drugs, no one knew where Sveta keeps her purse. And my mom without any hesitations took her money… I saw someone else take a purse… someone slipped on a coat and rushed to the drugstore. My mom was sitting by Dima’s bed and asking him to calm down, that night she was sitting next to him when he delirating after anesthesia. Doctors were giving Sveta soporific injections again and again not letting her wake up. Nadya was sitting next to her not turning off the light. And also she taking care after her own sick son and me. She was turning me around, feeding and giving water. "Guys, mother f…, who left the balcony open???" – Lena finished the question with couple other unprintable words. Then she told someone: "Katya, why are you standing there, come here!". She was saying this in a strange tender manner, everyone in the department knew her wild temper and sharp tongue. That’s why moms from all rooms started to come out to the hall. Katya, a young woman, got here with her daughter a week ago, and now she was standing by the railings and was looking down. Everyone knew that look, almost everyone was standing like this on the balcony and was looking down at the ground, 5 floor below. Almost everyone got through a wish to settle all problems with one jump. That’s why when new patients come to the hospital, especially when they are nervous patients, the balcony gets locked. This time someone lost the track and Katya, who was screaming 3 days ago that she would jump out, was on the balcony. - Katya, come here! Why are standing there? There’s nothing interesting there, come here! - No, leave me alone. I don’t wanna live! My baby, my Valya, she’s just 2.5 years old! Why??? Why live? My daughter has cancer! She will die! I don’t wanna see this! I don’t want to and I can’t!!! – she bent over the railings even more. - My son has cancer too, so what? – Lena couldn’t be endearing too long - Yes, a lot of people die here, but some survive! But they survive only when they get treatment! If you treat your daughter, maybe she gets lucky as the boy from room 5! He’s been having remissions for 4 years. You could have the same! - Wanna jump? Go ahead! But take your daughter! She will not survive without your help! Who will be buying her drugs? Your husband is an alcoholic? Who will be watching her during IV? Nurses? Don’t make me laugh!!! Here. Take her and jump together! – Lena grabbed Valya who couldn’t understand what was going on and gave her to Katya. - No, no, stop! How can you… - Katya’s eyes widened from horror. - How can you? You are so selfish! Think about your baby! Think about what happens to her after you jump! Come on, go! But then Valya dies in couple of weeks! Yes, she won’t have the painful treatment, because the hospital doesn’t have any drugs! But she will have a painful death from leucosis. Come on, take her and jump! What? Scary? You both will be better this way! Come on! Come on!!! Katya rushed from the balcony into the hall, and ran crying somewhere outside the hospital. - Lena, you think she won’t do anything stupid there? - Maybe she will, but not today. This psychotherapy will be enough for today, and then… Let me just find that person who didn’t lock the balcony and I’ll drop him from there. Or next time make him “negotiate”. Lena was also was taken from the balcony. By a woman whose kid was in ER center. He died 2 days later. But Lena was always saying that that woman saved her Volodya, although she left her own one. Raisa Gorbacheva is diagnosed with leucosis. Everyone in our hospital knew that. And everyone was following the chain of events. Older kids sighed "She has money to be treated in Germany, we don’t…". But every night we would gather by the TV and wait for the news about her recovery. But there wasn’t much information, and it wasn’t that optimistic, as we wanted to be. We collected separate phrases and formulations and formed an impression about what was going on. And there wasn’t anything good… Every day the news were shorter… it’s hard to describe… were kind of awkward. The one that’s present in the hospital after someone dies. When all adults know what’s going on, but pretend, that everything is fine, drop their eyes down and change the subject. Our moms were listening to the radio hiding from us. And at night the even harder were trying to persuade us to watch cartons. I remember I was sitting in front of TV, and a boy who was sitting next to me crossed the fingers so hard so they turned white. He also dreamed that a woman in another country would get better. And she, the wife of the first president of USSR. Couldn’t even imagine how many kids in CIS were crossing fingers for her. She didn’t know how all those children believed in her. And once our parents didn’t let us turn on the news. Fighting, tears, but they refused. We knew what happened. A dead silence fell on the hospital. But at night, when someone felt bad, and all adults were helping, someone took the radio out of the nightstand and 15 kids of different ages pressed their ears against it. We knew what we would hear, we just knew. But our hearts could not accept that, we were still hoping for the miracle. We hoped that our parents misinterpreted something, we didn’t understand something. We hoped that we would hear that the battle was still going. But… that night we all went to bed crying. Our hopes were destroyed. In one day. And there was offence for our destiny that gave us this disease, for doctors who can’t cure this disease and for Raisa Gorbacheva who betrayed us with her death. That night we were all sure that we were doomed… we didn’t believe in the recovery… but somewhere deep inside of us there was hope… for many of us that hope dies last… after us. 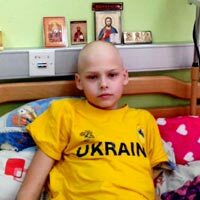 You can help sick children of Zaporozhye now! Natalya Kisluk, born February 28, 1992 - 24 years old - mixed form cystic fibrosis.